This year's report records the largest gap yet between where we are and where we need to be. Between 2014 and 2016, global emissions of CO2 from industry and the production of energy were essentially stable while the global economy grew modestly - but in 2017 these emissions went up by 1.2% pushed along by higher GDP. "There is still a tremendous gap between words and deeds, between the targets agreed by governments worldwide to stabilise our climate and the measures to achieve these goals," said Dr Gunnar Luderer, from the Potsdam Institute for Climate Impact Research and one of the authors of the study. The report says that peaking of emissions in 2020 is "crucial for achieving the temperature targets in the Paris agreement," but the scale of the current efforts is insufficient. The UN is placing great hopes in what it terms "non-state actors", meaning local, city and regional governments, businesses and higher education institutions can have major impacts on the future gap. The study says that there is the potential to cut emissions from this sector by 19 gigatonnes of CO2 equivalent per year by 2030 - that's enough to keep the world on a 2 degree path. "When governments embrace fiscal policy measures to subsidise low-emission alternatives and tax fossil fuels, they can stimulate the right investments in the energy sector and significantly reduce carbon emissions," said Jian Liu, UN Environment's chief scientist. "If all fossil fuel subsidies were phased out, global carbon emissions could be reduced by up to 10% by 2030. Setting the right carbon price is also essential. 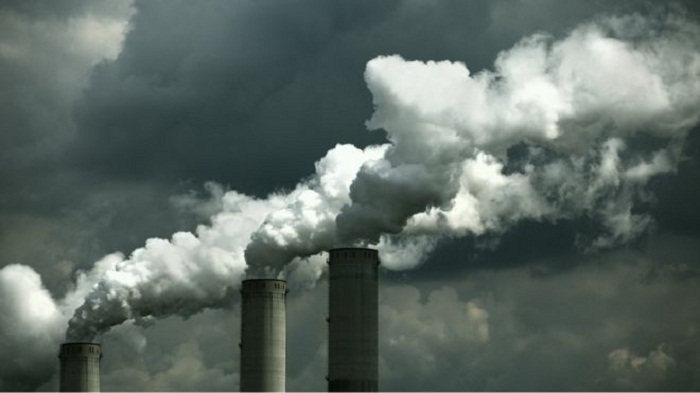 At $70 per tonne of CO2, emission reductions of up to 40% are possible in some countries." This report is aimed at informing delegates to next week's key climate conference in Katowice, Poland. Negotiators will be trying to finish the rules on how to implement the rule book of the Paris agreement - but the report's authors hope it can push countries to greater levels of ambition. "Germany and Europe could demonstrate leadership in this area by pledging complete greenhouse gas neutrality by 2050 and a clear strengthening of the emission reduction targets for 2030," said Dr Gunnar Luderer.